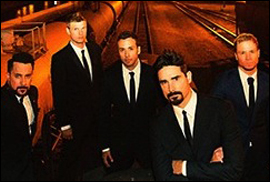 BERLIN (CelebrityAccess MediaWire) — The Backstreet Boys have signed a publishing and recording deal that will see their latest album, "In A World Like This" through international rights management company BMG. The announcement comes as the "boys" prepares to celebrate their 20th Anniversary with all five founding members reunited under the Backstreet banner. Over the course of their career, the Grammy-nominated group has generated sales of over 130 million albums worldwide and helped to launch the boy band resurgence of the 1990s. The forthcoming album features 12 tracks of new material, mostly co-written by members of the group themselves. The album was recorded in London and LA, with production by Martin Terefe, Max Martin, Morgan Reid & Prophet, Dan Muckula and Justin Trugman.